Blauer Bolus für Poliment Gold Verarbeitung. Dieser Bolus wird intern von Sinopia hergestellt und ist das Resultat Jahrelanger Forschung und Tests. 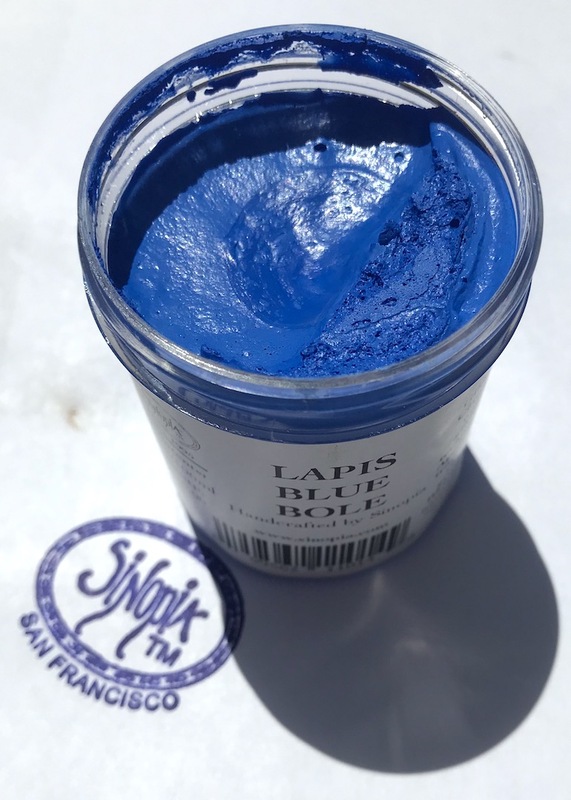 Blue Clay Bole for use in water gilding techniques. Blue Bole is most commonly used under silver leaf or white gold. Use over traditional chalk gesso ground. Bole needs to be applied with a solution of rabbit skin glue. This Bole is manufactured by Sinopia. The formula was developed by working with master gilders to craft a rich creamy bole that burnishes to a beautiful highly reflective luster.